Salmon fish oil is one of the best sources of omega-3 essential fatty acids and an essential food for an anti-inflammatory diet. 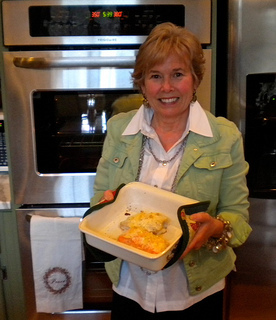 There are many benefits to eating wild caught salmon (not farm raised Atlantic salmon). Did you know that omega-3 fatty acids (FA) help to reduce inflammation? These FAs are necessary for the production of a chemical called prostaglandins. Dr. Andrew Weil believes that fats are the most important connection to inflammation - choosing the right fats helps our bodies to stay in an anti-inflammatory state while bad fats keep our bodies in a pro-inflammatory condition. 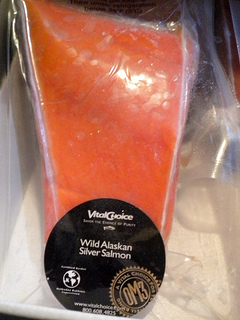 Wild salmon is listed as one of the super foods in Dr. Steven Pratt (an ophthalmologist whose mother had AMD) SuperFoods HealthStyle and Dr. Michael Samuel author of Macular Degeneration: A Complete Guide for Patients and Their Familieswrites, "Eat wild-caught salmon, which is the best source of omega 3s twice a week if you can." It is not possible to talk about omega-3 FAs without talking about omega-6 FAs. In fact the two are so similar that they compete for the same "spots" on our cell membranes. So if you eat too many foods with omega-6's there won't be any receptor sites left for the omega-3's. Which means if you eat a high percentage of omega 6 foods, even if you do eat foods high in omega 3s - your body won't get the maximum benefit from them. Dr. William S. Harris puts it this way, "There's little doubt that if you want to preserve your health, you should include increasing amounts of food sources of omega-3 fatty acids while at the same time decreasing your intake of omega-6s." The American diet is now way out of balance and most of us consume too much omega-6s because it is found in just about all processed and packaged foods. Now that you know about reducing the amount of omega-6's you will better understand why wild salmon is preferred over the farm raised ones. Farm fed salmon (sometimes called Atlantic salmon) are given grains and as a result have a higher amounts of omega 6's and less of the omega-3s. Wild salmon has the highest amounts of omega-3s. All Alaskan salmon is wild. 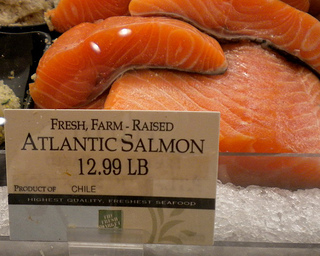 When I am at the grocery store or out to eat, I always ask if their fish is wild caught or farm raised. How much salmon fish oil does a person need? Most Americans are deficient in omega-3 essential fatty acids. Many health experts recommend 2- 4 servings a week. 1. 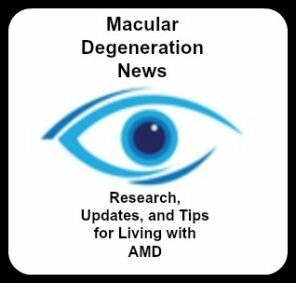 A high dietary intake of fish oils was associated with a 38% reduction in the risk of late macular degeneration. 2. People who ate fish two times a week reduced their risk of developing late macular degeneration AND signs of early AMD, such as soft drusen and pigmentary changes. We purchase our wild caught Alaskan salmon on line from a company that is endorsed by health guru's like Dr. Andrew Weil, and ophthalmologist and author of several Super Foods books, Steven Pratt, M.D. 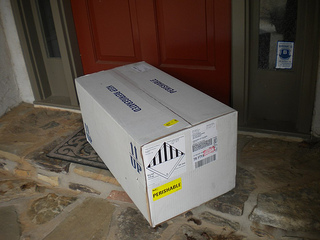 It is shipped in a styrofoam cooler with dry ice so it arrives right on your door step still frozen. Shipping is free for purchases over $99. For variety we order the salmon filets, the canned salmon and the salmon patties. Get your salmon fish oil from wild caught salmon and reduce the amount of processed and packaged foods you eat, so that omega-3's have a chance to benefit your health and your eyes.